Official Release: BMW announced today that the company will invest nearly $900 Million USD and add 300 new jobs in 2012 in its South Carolina plant. This announcement was made during a ceremony to commemorate a major production milestone – 2,000,000 vehicles have rolled off the assembly line since the company began U.S. production in 1994. Frank-Peter Arndt, BMW Group Board Member responsible for Production, revealed the company ‘s intention to expand its X-model family. He revealed that production of the new BMW X4 will occur at the Spartanburg plant, spurring significant investment and job creation necessary to prepare the facility for the new model. With the addition of 300 new jobs this year the plant will raise production capacities up to 300,000 units. By the end of the year, the plant will employ nearly 7,500 people at its more than 4.0 million square foot facility.Since the original 1992 decision to build BMW’s only U.S. plant in South Carolina, today’s announcement brings BMW Group’s total investment in the state to nearly $6 Billion U.S. dollars and represents its largest, single investment to date in its South Carolina plant. The 2 millionth vehicle to roll off the line in Spartanburg was a Vermillion Red Metallic X3 xDrive35i driven by BMW Associate Terry Gardner, a 16-year BMW veteran. The vehicle featured Oyster Nevada interior and an M Sport Package.Accompanying the driver, were associates: Renita Williams, Trung Phan and Olga Yurchenko. These associates represent teams from each of the plant’s manufacturing technologies: Body, Paint and Assembly. X4! Yikes. I have to confess a closet admiration of the X6. I’d never want a car/truck/thing that big, but I love its lines and meaty tires. Could it possibly come in a slightly smaller size? have not seen images of the X4, but suspect a coupe like profile of the current X3. I’d love to work here. 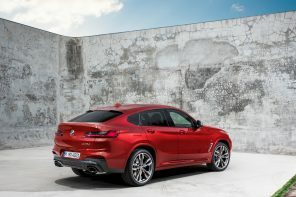 By 2014 Spartanburg will be building three new models – The X4 is one but also the next generation BMW X5 (F15) and BMW X6 (F16) Making Spartanburg the centre of excellence for BMW’s “X” line. By 2016 BMW aim to have Three core Sport Activity Vehicles – The X1 , X3 and X5 bookended with Sport Activity Coupe models – X2 , X4 and X6. X4 has entered development and expect to see the Concept soon. With global demand for the X6 , BMW has also noticed a trend that there is demand for pre-owned X6 especially from customers who cannot stretch to purchasing new. The X4 should bring Sport Activity Coupe ownership to those who cannot stretch to the X6 with a choice of both four and six cylinder diesel and petrol power. X4 will also be about dynamics and will feature the latest Dynamic Performance Control system. BMW M will also bring to the market an X4M. Styling will differ from the X3 with the X4 receiving a more sporting and fresher face and rear. The outline is very much in the shape of the X6 but more compact. 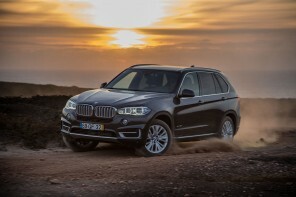 The new BMW X5 leads the design for the next generation of X vehicles. In which emphasis is put on a specific Sporting outline , like the X3 the X5 gets a more dynamic looking roofline towards the rear with shallow rear windscreen. And rising glassline. “X” design features typical of all X vehicles include the rising hofmeister kick on the rear quarter light. Strong body sculpture , larger grilles and an air of solidity without being bland. Complimenting the “X”line will be BMW’s FAST (Family Sport Activity Tourer) which mixes Touring , SAV and Van with optional xDrive. 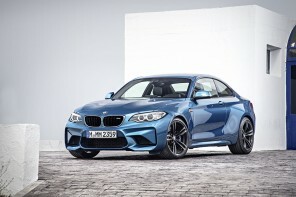 The First FAST will be with the BMW 1er Family , with a proposal for a 3er model under evaluation.